Broadside or T-bone collisions, also known as side impact collisions, happen when the front of one moving vehicle collides with the side of another vehicle resulting to a crash forming a T shape. In Nashville, it occurs most often on busy intersections but could happen in many other ways as well. This type of car accident can severely injure a driver or its passenger since the side of a car has limited protection compared to the front and rear-end of a vehicle. What separates the driver and the passenger from the outside force is the thin metal side doors that are most often not attached with any side airbags. This type of accident can cause lasting physical impairment or dismemberment, or even death. Turning Left improperly. Turning without looking to see whoever is on the right side continuing straight to the intersection could most likely result to a side impact collision. Failure to follow traffic laws or signals. Failure to follow traffic signals or both cars reaching a crossing and neither yielding to whoever has the right of way could most likely result in a T-bone or side impact collision. Running a red light. When you fail to stop on a yellow light it can put everyone in the intersection at risk for a T-bone collision. Especially when driver decides to increase speed to beat the red light instead of slowing down, this could potentially lead to a huge T-bone collision. Reckless driving behavior. Driving under the influence (DUI) or driving with impairment (DWI) of illegal substances like alcohol and drugs is a potential cause for a T-bone or side impact collision. Rollings stops. In a four-way intersection, a driver must come to a complete stop behind the white line. Drivers who tend to creep through the white line may be found guilty of negligence even if they are the ones getting hit on a side impact collision. Vehicle defects. Manufacturing defects of vehicles could be a potential for a side-impact collisions, especially when the car’s brakes are defective. Facial lacerations from broken and flying glass. Serious bone fractures in the legs, arms, hands, ribs and hips. CALL A NASHVILLE LAWYER TODAY. If you or one of your loved ones suffered injuries in a Broadside or T-bone collision, calling a Nashville lawyer who is knowledgeable in car accidents could likely assist you at this unfortunate time. 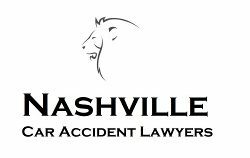 Competent Nashville law firms that are experts in car accidents, specifically T-bone collisions, could guide and assist you in actions from filing claims to filing a civil lawsuit to the at-fault driver. Call an expert Nashville lawyer now!